VINEYARDS: different vineyards in Appiano Monte all situated on 400 - 600 m a.s.l. The vines are 10 - 18 years old. VINIFICATION: Long maceration and low temperature fermentation in steel tanks and then a part of the wine (12%) is aged and refined in big and small oak casks. "Doctorwine" has rated the wine "St. Michael-Eppan San Michele Appiano Sanct Valentin Sauvignon Sudtirol - Alto Adige, Trentino-Alto Adige, Italy" the vintage 2015 on 22.11.2016 with 95 of 100 points.
" A Sauvignon varietal that ages in both stainless steel and barrels of various sizes. It has an intense, straw-yellow color and a bold aroma with scents of passion fruit, grapefruit and a wonderful touch of white pepper followed by nettle notes. The mouthfeel is full and flavorful, fresh yet softer in the saline and aromatic finish. " 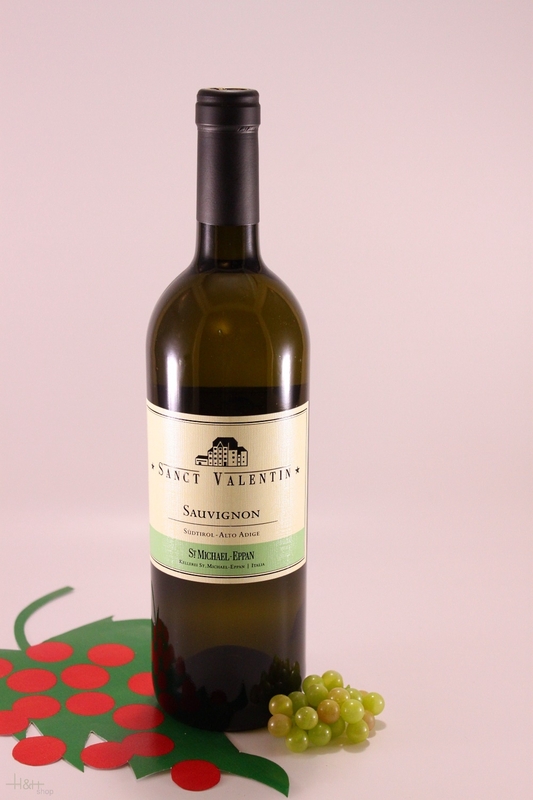 "Doctorwine" has rated the wine "St. Michael-Eppan San Michele Appiano Sanct Valentin Sauvignon Sudtirol - Alto Adige, Trentino-Alto Adige, Italy" the vintage 1999 on 28.02.2012 with 90 of 100 points.
" This is a winery that has achieved success by producing white wines that are demonstrating an excellent ability to age well. This Sauvignon the Linea Sanct Valentin, the vines for which are some 15 years old and grow on slopes at an altitude of between 300 and 500 meters above sea level, has a compact straw-yellow color, which when aged has an aroma of elder flowers and nettles and aromatic herbs, ripe yellow fruits. The taste is enveloping, full, with a nice acidity, with the same fruit flavors picked up by the nose, while the finish is long and rewarding. " "Wine Spectator" has rated the wine "St. Michael-Eppan San Michele Appiano Sanct Valentin Sauvignon Sudtirol - Alto Adige, Trentino-Alto Adige, Italy" the vintage 2015 on 30.09.2016 with 90 of 100 points. "Falstaff Magazin" has rated the wine "St. Michael-Eppan San Michele Appiano Sanct Valentin Sauvignon Sudtirol - Alto Adige, Trentino-Alto Adige, Italy" the vintage 2015 on 06.07.2016 with 91 of 100 points. "Vinous Antonio Galloni" has rated the wine "St. Michael-Eppan San Michele Appiano Sanct Valentin Sauvignon Sudtirol - Alto Adige, Trentino-Alto Adige, Italy" the vintage 2014 on 01.05.2016 with 82 of 100 points. "Wine Enthusiast" has rated the wine "St. Michael-Eppan San Michele Appiano Sanct Valentin Sauvignon Sudtirol - Alto Adige, Trentino-Alto Adige, Italy" the vintage 2014 on 04.01.2016 with 92 of 100 points. "Falstaff Magazin" has rated the wine "St. Michael-Eppan San Michele Appiano Sanct Valentin Sauvignon Sudtirol - Alto Adige, Trentino-Alto Adige, Italy" the vintage 2014 on 23.06.2015 with 93 of 100 points. "Vinous Antonio Galloni" has rated the wine "St. Michael-Eppan San Michele Appiano Sanct Valentin Sauvignon Sudtirol - Alto Adige, Trentino-Alto Adige, Italy" the vintage 2013 on 01.05.2015 with 92 of 100 points. "Falstaff Magazin" has rated the wine "St. Michael-Eppan San Michele Appiano Sanct Valentin Sauvignon Sudtirol - Alto Adige, Trentino-Alto Adige, Italy" the vintage 2013 on 24.06.2014 with 92 of 100 points. "Wine Spectator" has rated the wine "St. Michael-Eppan San Michele Appiano Sanct Valentin Sauvignon Sudtirol - Alto Adige, Trentino-Alto Adige, Italy" the vintage 2012 on 31.05.2014 with 89 of 100 points. "Wine Enthusiast" has rated the wine "St. Michael-Eppan San Michele Appiano Sanct Valentin Sauvignon Sudtirol - Alto Adige, Trentino-Alto Adige, Italy" the vintage 2012 on 06.01.2014 with 94 of 100 points. "Luca Gardini" has rated the wine "St. Michael-Eppan San Michele Appiano Sanct Valentin Sauvignon Sudtirol - Alto Adige, Trentino-Alto Adige, Italy" the vintage 2012 on 01.07.2013 with 93 of 100 points. "Falstaff Magazin" has rated the wine "St. Michael-Eppan San Michele Appiano Sanct Valentin Sauvignon Sudtirol - Alto Adige, Trentino-Alto Adige, Italy" the vintage 2012 on 25.06.2013 with 92 of 100 points. "Vinous Antonio Galloni" has rated the wine "St. Michael-Eppan San Michele Appiano Sanct Valentin Sauvignon Sudtirol - Alto Adige, Trentino-Alto Adige, Italy" the vintage 2011 on 01.05.2013 with 90 of 100 points. "Wine Enthusiast" has rated the wine "St. Michael-Eppan San Michele Appiano Sanct Valentin Sauvignon Sudtirol - Alto Adige, Trentino-Alto Adige, Italy" the vintage 2011 on 07.01.2013 with 91 of 100 points. "Vinous Antonio Galloni" has rated the wine "St. Michael-Eppan San Michele Appiano Sanct Valentin Sauvignon Sudtirol - Alto Adige, Trentino-Alto Adige, Italy" the vintage 2010 on 01.02.2011 with 91 of 100 points. "Falstaff Magazin" has rated the wine "St. Michael-Eppan San Michele Appiano Sanct Valentin Sauvignon Sudtirol - Alto Adige, Trentino-Alto Adige, Italy" the vintage 2009 on 15.09.2010 with 91 of 100 points. 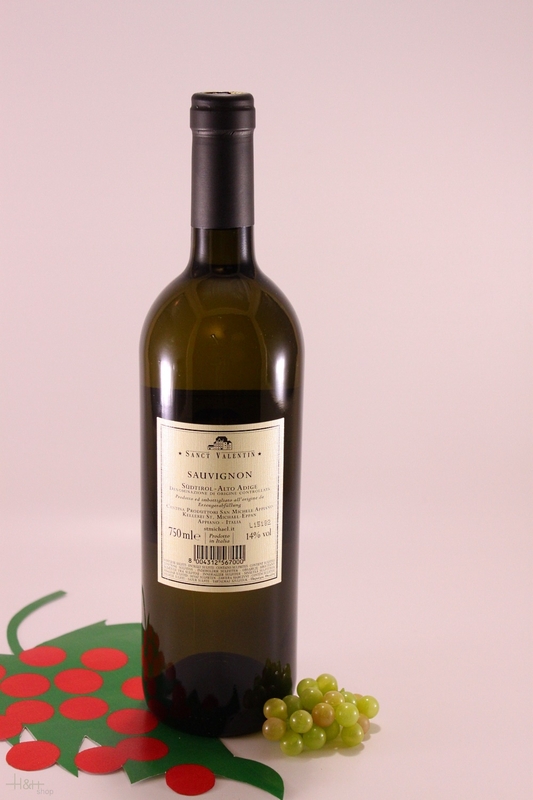 "Vinous Antonio Galloni" has rated the wine "St. Michael-Eppan San Michele Appiano Sanct Valentin Sauvignon Sudtirol - Alto Adige, Trentino-Alto Adige, Italy" the vintage 2008 on 01.10.2009 with 91 of 100 points. "Wine Spectator" has rated the wine "St. Michael-Eppan San Michele Appiano Sanct Valentin Sauvignon Sudtirol - Alto Adige, Trentino-Alto Adige, Italy" the vintage 2008 on 31.08.2009 with 91 of 100 points. "Wine & Spirits Magazine" has rated the wine "St. Michael-Eppan San Michele Appiano Sanct Valentin Sauvignon Sudtirol - Alto Adige, Trentino-Alto Adige, Italy" the vintage 2007 on 01.08.2009 with 88 of 100 points. "Wine Spectator" has rated the wine "St. Michael-Eppan San Michele Appiano Sanct Valentin Sauvignon Sudtirol - Alto Adige, Trentino-Alto Adige, Italy" the vintage 2007 on 31.08.2008 with 92 of 100 points. "Wine Spectator" has rated the wine "St. Michael-Eppan San Michele Appiano Sanct Valentin Sauvignon Sudtirol - Alto Adige, Trentino-Alto Adige, Italy" the vintage 2006 on 15.11.2007 with 91 of 100 points. "Wine Enthusiast" has rated the wine "St. Michael-Eppan San Michele Appiano Sanct Valentin Sauvignon Sudtirol - Alto Adige, Trentino-Alto Adige, Italy" the vintage 2005 on 09.01.2007 with 91 of 100 points. "Vinum Wine Magazine" has rated the wine "St. Michael-Eppan San Michele Appiano Sanct Valentin Sauvignon Sudtirol - Alto Adige, Trentino-Alto Adige, Italy" the vintage 2005 on 01.12.2006 with 16 of 20 points.